You’re intelligent enough to know that Grammarly isn’t going to turn you into a riveting writer. You’re also smart enough to know that you need to be on the look out for typos, grammar gaffs and spelling mistakes. 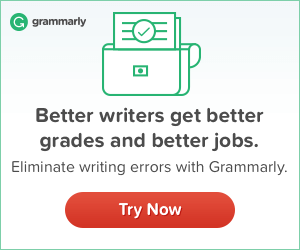 Grammarly is an online and desktop tool that checks your spelling, grammar and other components of your writing. Its aim isn't to make you aware of your writing mishaps and correct them. The free version is enough to avoid embarrassing typos and is a powerful spell checker. But the real power of Grammarly is in its premium version. Read my disclaimer to find out why I get wine money if you click on links to products I recommend. Before I start, let’s get one thing straight. It wasn’t until I started writing online that I began to fully appreciate the benefit of editing software. In fact, I didn’t believe in them. My grammar was good. So good in fact that I used to teach it to Spanish students as a TEFL Teacher. Plus, I’m a cough, cough 70’s/80’s kid. We had libraries, not the Internet. The moment I made a mistake, it was a rewrite for me. When Facebook entered stage right and Twitter stage left, it all went to ruin. And then, of course, the iPhone hurtled in slap bang in the middle of the mix. Now, as much as I like to have fun with autocorrect, I can’t cope with typos and grammar mistakes. Nowadays I seem to make them all the time. And when I do, I have a ‘duh’ moment for not using Grammarly. You see, my grammar doesn’t seem to be as good as it used to be. I have serious problems with superfluous commas, or I omit them entirely. I’d like to think it’s because I’m multi-tasking. But it would appear I am not alone. Grammarly is a tool which grammar and spell checks your work online. It really is that simple. There’s no need to copy and paste everything into Word. You can access it right there in your browser with the help of a nifty Chrome extension meaning you can quickly and easily save yourself from potentially embarrassing writing slip ups. 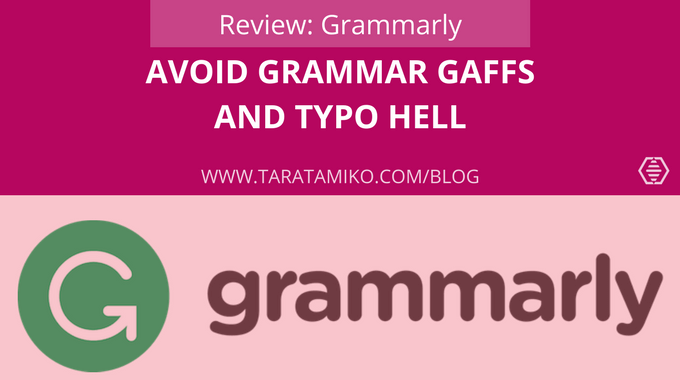 If you’re reluctant about trying Grammarly, I would encourage you to change your thinking. With this writing aid, you’re not getting your high school English teacher. Neither are you paying a teacher’s salary to use the tool. Grammarly doesn’t claim to be perfect, it claims to help your writing, and that’s exactly what you can expect. He found Grammarly to be worthy enough to upgrade to premium. But does it get it right all the time? The point remains that you cannot rely on tools to do all the work for you. You do need to accept that your input and intelligent use will affect a positive outcome too, especially when it comes to the meaning and voice you want to get across. You see where I’m going with this, right? Whether you’re a fan of Grammarly or writing aids in general, you’ve got to admit there is a lot of very poorly written content out there. Perhaps Grammarly isn’t for you, but I bet you can think of at least five people who would seriously benefit from using it. 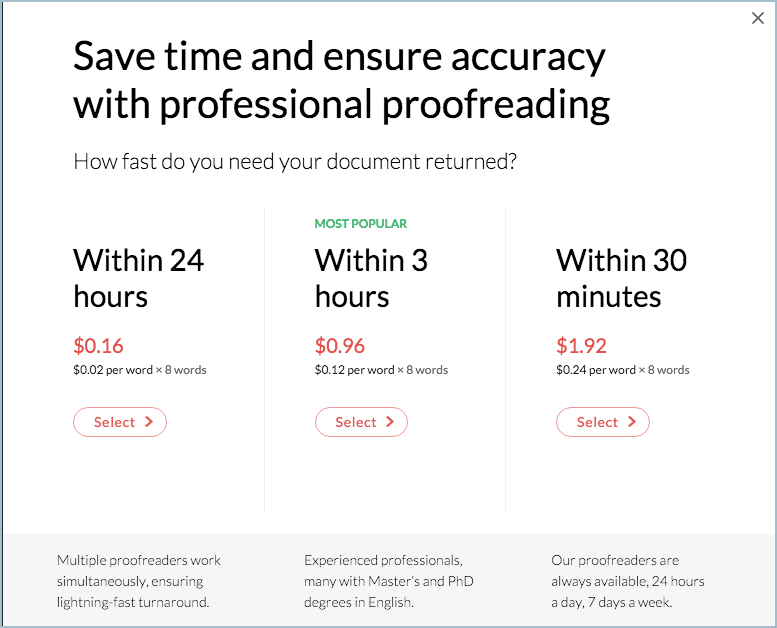 And a feature I haven’t tried yet, but will: access to real human proofreaders. I write unnecessary filler words like: just, some, exactly. I also have a tendency to use the same words over and over again: good, great, fantastic. I like passive writing. I believe it has its place. With Grammarly, I can set my style to ‘creative’, and write as passively as I like. There are other choices available too. We have access to many free tools to help us with everything we do online nowadays. However, occasionally Grammarly’s Chrome extension can interfere with other sites. I’ve been known to complain about the lack of functionality on the site, only to be asked to turn off all extensions and add them back one by one to find out which is the culprit. But not all the time and it’s not the only one. Another minor, or maybe in some cases not so minor issue, is that there are connection problems which can potentially result in the loss of work. That said though I’m sure they’ll come up with an auto-save feature soon. Absolutely! But if you want to be a rule breaker, learn the rules first. This is what I’m continuously doing, and I also put quite a bit of faith in Grammarly so I can avoid Death by Typos.